Nouvelle a​dresse email dédiée aux francophones !!!!!!! – When a family search is requested by either a domestic or an overseas adoptee or by birth parents, KCARE and the adoption agencies will be fair and impartial, and make transparent the adoption records while protecting themutual trusts and the rights of the adoption triad. – « Information » refers to the official documents, drawings, photographs, films, cassettes and other corresponding media under the care of KCARE and the adoption agencies. – « Release » refers to KCARE and the adoption agencies making available the pertinent information to adopteesadoptees (or adoptive parents) or to birth families. 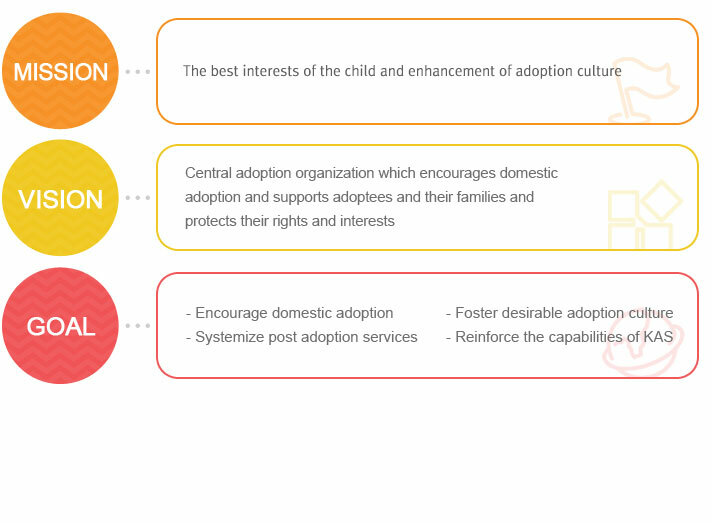 – « Adoption Triad » refers to any one entity of adoptee, adoptive family, and birth family. For an adoptee who is under 18, it includes adoptive parents and the family. – This guideline is used by KCARE and the adoption agencies to serve an adoption triad in the area of the family search as a part of the post-adoption services. – KCARE and the adoption agencies are required to show integrity in releasing the adoption information in order to maintain the trust of those who request. – The released information should be specific and clear. If the provided information is not clear, one has the right to request a clarification on the information. If however, he/she is dissatisfied with the release of the information or the receipt of unsatsfactory answers based on the request, the person may ask for further clarification of the information through the ‘Adoption Affairs Arbitration Committee’ at KCARE. – KCARE and the adoption agencies should adhere to the following regulations expressed in the Article 18 of The Special Act Relating to the Promotion and Procedure of Adoption. · No discrimination against or violation on the rights of the adoptee, · No personal information related to adoption should be revealed, · Carry out the post-adoption services for adoptees and the families, and provided assistance and other needed services to visi-ting overseas adoptees to Korea. – 18 years and over : Direct request possible. – Between the age of 13 and 17 years : Request possible with adoptive parent’s consent · However, age restriction will not be taken into consideration if an adoptee is under a serious physical or mental condition and there is a diagnosis from a doctor, psychologist or social worker on behalf of adoptee to improve the adoptee’s health condition(doctor’s medical report, psychologistor social worker’s notes required). – Adoptive parents may request a birth family search with adoptee’sconsent. However, if the adoptee is in need of a serious physical or mental treatment the adoptee’s consent is not needed(doctor’s medical report is required) · For adoptees under 13 years, the birth family search may be requested only when in need of a serious physical or mental treatment(doctor’s medical report is required). – Able to start searching for an adoptee after the adoptee turns 13 years or older, pending no ‘special reason’ (e.g. an emergency in the birth family). · It is possible for a birth family to search for an adoptee who is under 13years old, knowing that the birth family gave up the child to be adopted by the adoptive parents under the condition that the birth parents remain in touch with the adoptee. * If the birth parents have passed away. the adoptee’s immediate family, siblings and relatives in this order may apply to be in contact with the adoptee(a written proof of the evidence of relationship to the adoptee should be submitted). ① Adoptees or adoptive parents who live overseas may request a birth family search from the central authority of the adoptive country or their co-operating agencies, or request through KCARE or the adoption agencies in Korea. ② Adoptees or adoptive parents who live in Korea may request a birth family search from the adoption agencies, or from KCARE if inform* Required Documents : – Post-adoption services application form, – Adoptee’s ID card(e.g. passport, driver’s license), – Adoptive parents’ ID cards, and a parental consent form(for adoptees under 18) – Photograph of the requester(taken within the last 6 months), – Other related documents and pictures from the original adoption that might help with the birth family search. ④ Adoptees residing in countries with which Korea no longer engages in adoption or when an adoption agency is no longer in service. – May submit a request to KCARE with all required documents. – All information under the direct control of KCARE and the adoption agencies can be released except ; · Any information in the adoption document that is private, such as names, ID numbers, addresses, contact numbers etc. regarding the birth family, Adoptive family, or adoptee. – KCARE and the adoption agencies should release information through the adoption information database and a full access to the information may be done in the presence of a post-adoption service worker from arelevant agency. ① Service may be limited when it is difficult to locate an adoption triad(adoptee, adoptive family, or birth family) or when a triad does not wish to be contacted(e.g. phone calls, mails, etc). ② If an adoption triad(adoptee, adoptive family, or birth family) has been notified of a search and does not wish to be contacted or be reunited, no additional request will be made until the refusing entity changes his/her mind. ③ No information will be released when the birth family or adoptive family did not authorize the release of their information at the time of the adoption. – KCARE and the adoption agencies should report any results within three months after the submission of the application. If unable to report final results within three months, KCARE and the adoption agencies should report on progress made up to that point.If due to a special circumstance KCARE and the adoption agencies do not have any results, the requester maybe permitted to an extension of another three months, starting from the next day when the initial period ends. In this case, KCARE and the adoption agencies should report this fact to the requester along with the explanations. – When an adoption triad(adoptee, adoptive family, or birth family) requests contact or a reunion, KCARE and the adoption agencies should provide consultation and information including the cultural information of the respective country. – If interpretation or translation is requested by overseas adoptees or birth families for a family search, KCARE and the adoption agencies should provide such services. – The location for the initial reunion shall be provided by the relevant adoption agency and a post-adoption services worker should be present. – If an adoption triad(adoptee, adoptive family, or birth family) wishes to maintain contact or continue reunions, it shall be done through the adoption agency. If the either side requests private reunions with no involvement from the adoption agency, each party should submit a written agreement of responsibilities prior to the meeting. – KCARE and the adoption agencies, with the consent from both parties, the birth family and the adoptee, may carry out a biological heredity(DNA) test. – If information is insufficient for a search, KCARE may post available information on the KCARE website or request cooperation from the adoption agencies, newspapers, broadcasts, or the police, and shall report the results and progress to the requester and the adoption agencies.